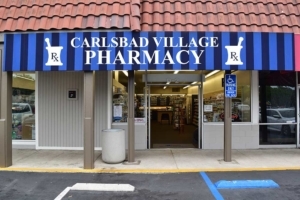 Carlsbad Village Pharmacy offers delivery service, for a small fee, to our patients in and around the Carlsbad area. We know that some of our patients have a difficult time getting to the pharmacy, either because of health issues or because of time constraints. We eliminate these challenges by offering delivery for prescription medications. We will also deliver over-the-counter medications, vitamins and supplements, or medical supplies with your prescription order. Please contact the pharmacy for further details.